Here are some pictures from a couple of special shows. 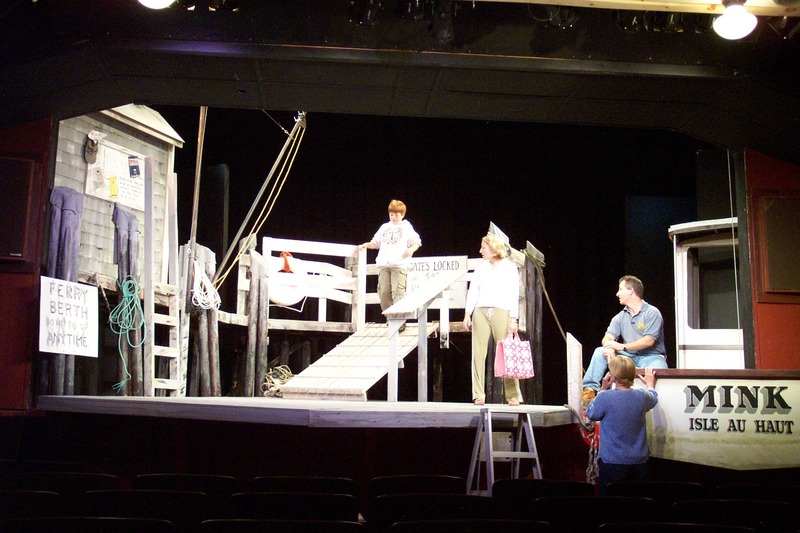 First are pictures from theFERRYplays an out-of-town version of theAtrainplays that we did as a benefit for the fifth anniversary of the Stonington Opera House along the coast of Maine. Carol Estey, one of our regular directors, runs the Opera House and invited us to come to Stonington in July 2004, so we loaded up two vans and drove ten hours north to the Down East of Maine. We wrote two plays and two musicals, while riding the mail boat that travels from Stonington to Isle au Haut, just off the coast. Carol Estey directing the cast of THE DEGRE OPENING for theFERRYmusicals at the Opera House. Another amazing set by Drew Donovan. 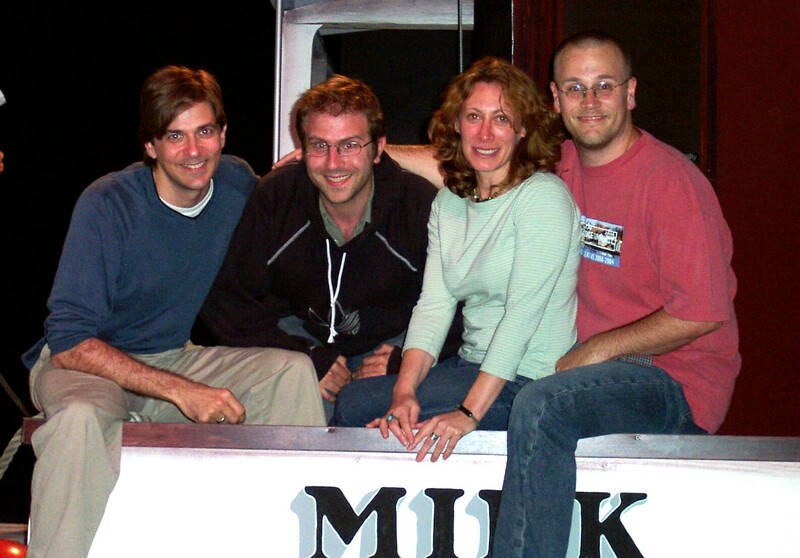 The writers of theFERRYmusicals: me, Harry Kakatsakis, Erica Silberman and Dave Riedy. 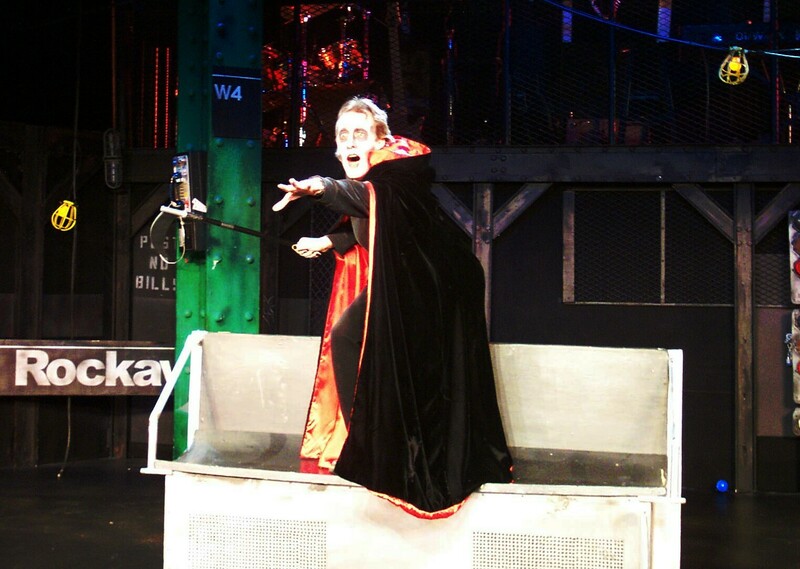 We talked about it for a while, and then in March 2005 we produced a two week series of the best of theAtrainplays,called theAtrain(re)plays, at the Peter J. Sharp Theater at Playwrights Horizon on 42nd Street in New York. It was a tremendous event and was very successful, with sold out houses and critical acclaim. Four of my works were produced: the plays IT'S NOT YOU and FREE, and the musicals WEDDING TRAIN and DEATH TAKES THE A. 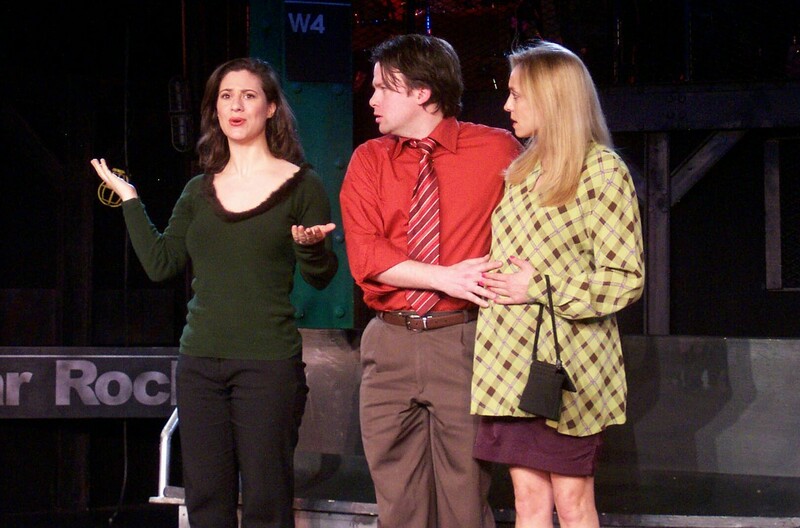 IT'S NOT YOU, which is one of six Atrainplays, now published by Playscripts , was directed by Marie Louise Miller, and starred (from left to right): Nancy Wu, Jamie Bennett, Jane Petrov and Amy Territo. IT'S NOT YOU with Amy Territo, Jamie Bennett and Jane Petrov. DEATH TAKES THE A featured songs by Cornell Womack, was directed by Daniel Ruth, choreographed by Dwight Edwards, and stared (from left to right): Tom Paitson Kelly, Michael Pemberton and Cynthia Pierce. 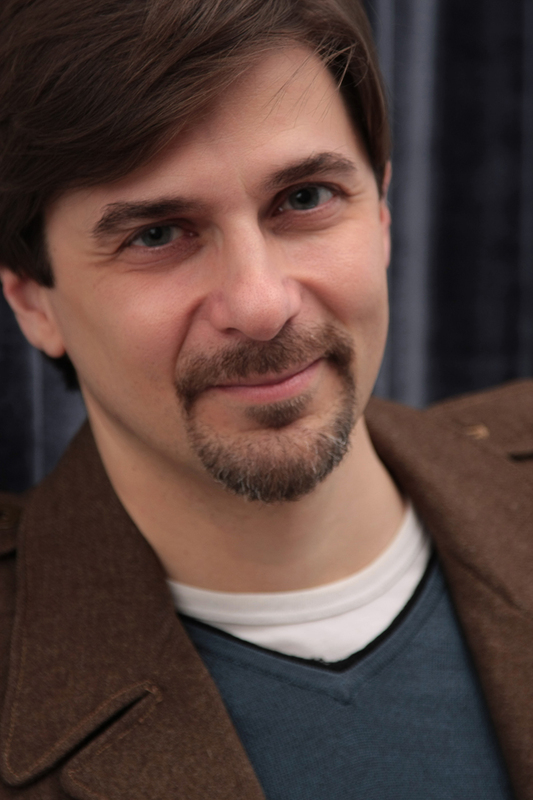 Tom Paitson Kelly in the title role of DEATH TAKES THE A at Playwrights Horizon's Peter J Sharp Theatre.